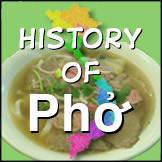 One of the highest ranking pho recipes you will find online is a Pho Bo recipe posted on About.com. The recipe was taken from “The Vietnamese Cookbook,” a top-selling cookbook devoted to Viet cuisine penned by Diana My Tran, a Vietnamese immigrant who currently lives in Washington D.C. 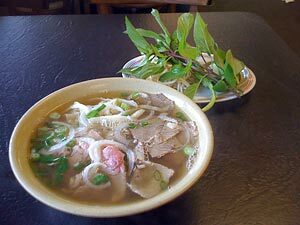 The cookbook contains more than a hundred recipes for popular Viet dishes such as spring rolls and lemon rice, but no dish will equal the popularity of the Vietnamese Pho soup noodle. Diana My Tran was born and raised in Vietnam. She immigrated to the U.S. in 1975, with her husband and parents-in-law, days before her first child was born. Today, she is a successful designer and dressmaker in Washington, D.C. Her recipes have appeared in newspapers nationwide. She is also the author of The Asian Diet: Get Slim and Stay Slim the Asian Way. 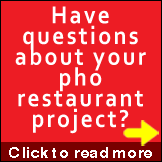 The pho bo recipe is simple yet effective. 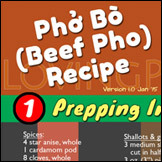 It is a recipe for the traditional beef pho and will give you good pho. It is written clearly and comes with easily understandable instructions. The recipe is thorough yet it keeps preparation process to a manageable one hour, making it ideal for busy do-it-yourselfers. Ms. Tran's recipe also has all the important ingredients and garnishes that are necessary to achieve the classic beef pho. What many people appreciate about Diana My Tran’s recipes, as evident in her beef pho recipe, is their simplified processes. Though the recipes are complete, thorough, and uses complete sets of ingredients, Diana My Tran still manages to make the recipes appear simpler than normal. In fact, most of her recipes are mostly simplified, making her the ultimate source of people who are, like her, juggling home cooking and extremely busy careers. And since she lives in the United States, she also offers simplified recipes customized to fit the busy American lifestyle. In her own words, "Traditional Vietnamese food can take time and effort to prepare - time I usually don't have. I want to keep our family heritage alive, especially for my children, so I have created my own easier versions of Vietnamese dishes, tailored to the American lifestyle." The recipes also tend to have a Western twang to them but Diana My Tran has managed to retain the traditional Viet taste as well, successfully balancing the two influences she has received over the years. 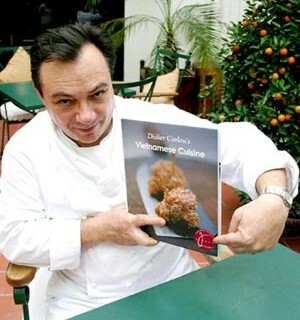 To make things even better, all the recipes are easy to follow and lead to wonderfully indulgent taste trips to Vietnam cuisine. 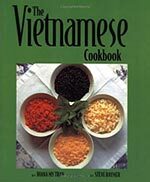 Diana My Tran is not a professional chef, but she has become a favorite author in Vietnam cooking. 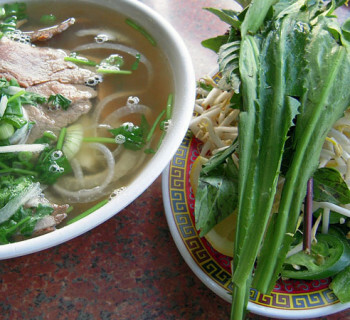 She succeeds in simplifying the many exotic and sometime complex recipes for her readers, at the same time maintaining authenticity of Viet cuisine, pho included.